Mr. Speaker, I rise today to recognize the Japanese American National Bowling Association (JANBA). From its noble inception to oppose discrimination after World War II, JANBA continues to be a forum for social interaction and friendly competition for its thousands of members throughout the United States. After internment in World War II, Japanese Americans trying to return to a life of normalcy discovered bowling as an engaging social pursuit. The sport quickly became a popular pastime with many joining bowling leagues and competitions. However, a restriction against Japanese Americans on the national stage was quickly realized. In 1947, Mr. Rokuro “Fuzzy” Shimada was planning to bowl in a Santa Clara bowling league. However, he was denied acceptance due to the league’s “whites only” membership policy set by the American Bowling Congress (ABC). In objection, the National Japanese American Citizens League (JACL) Nisei Bowling Tournament was birthed later that year. The selected venue was Salt Lake City, Utah, the headquarters of the National JACL at that time. Despite its inaugural year, the tournament was able to attract nearly 300 participants. Admirably, Mr. “Fuzzy” Shimada was inducted into the ABC Hall of Fame as a Pioneer in 1997, after the discriminatory rules were absolved in 1951. From 1947 to 1973, the National JACL Nisei Bowling Tournament was held annually at multiple locations across the United States. 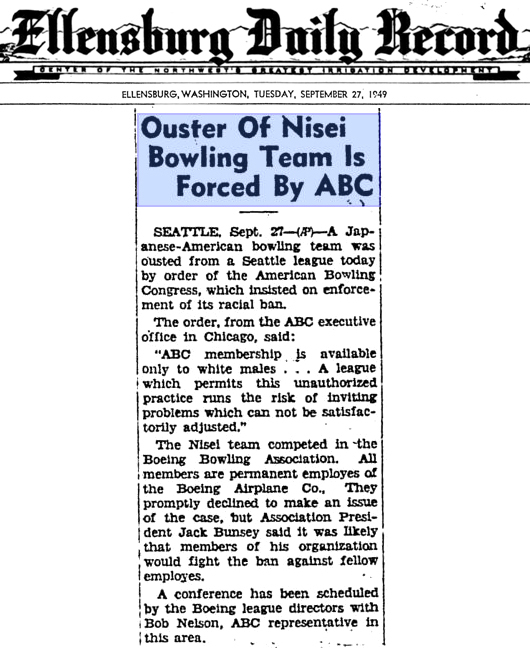 Then in 1974, the Japanese American National Bowling Association was spawned when it was agreed by the JACL Advisory Board of Bowling to form a separate organization from the JACL. Mr. Ozzie Shimada acted as the president pro tem for the first year. The Annual JANBA Tournament has continued its heralded traditions passed down from the JACL. Recently, the 2003 JANBA tournament was held in San Francisco. Over 800 men and women bowlers of all ages enjoyed competing in multiple tournament formats during the weeklong event. Mr. Speaker, I commend the Japanese American National Bowling Association (JANBA) for its courageous beginnings to oppose segregation in the aftermath of World War II and providing a venue for social interaction and friendly competition for fellow Americans. 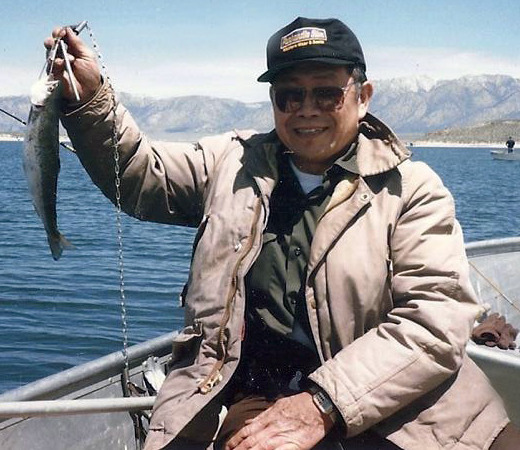 Yuk Hino joined the Pasadena Nisei league in 1956 and has been their Secretary/Treasurer since 1960. In 2004, Yuk was inducted in the LABA Hall of Fame and the league was then renamed the”Yuk Hino Pasadena Nisei League”. The league started as Aris Ayes at Pasadena Bowling Center with 12 teams of five in 1949. The league moved to Eagle Rock Lanes in 1960 and changed the name to Pasadena Nisei Mixed. They started with 14 teams of fives. By 1980, the league grew to 34 teams of fives. In 1987 Eagle Rock closed to become a post office so the league moved again to Little Tokyo Bowl with 38 teams of fours. In 1992 they also closed and the league made their last move to AMF Beverly Lanes with 32 teams of fours. In 2004, the league had 18 teams of fours remaining with bowlers Robert Kikkawa and Bobby Matsumoto as the last charter members remaining. Sadly on July 31, 2011, Yuk passed away after an accidental fall the week prior. The league eventually closed in 2012.